Much like we choose to associate ourselves with good people, customers like to associate themselves with good companies. Being a socially responsible company is a great way to attract positive outside attention to your corporation, and make your employees proud to be part of your organization. But before you can do this, it’s important to have clearly defined core values. 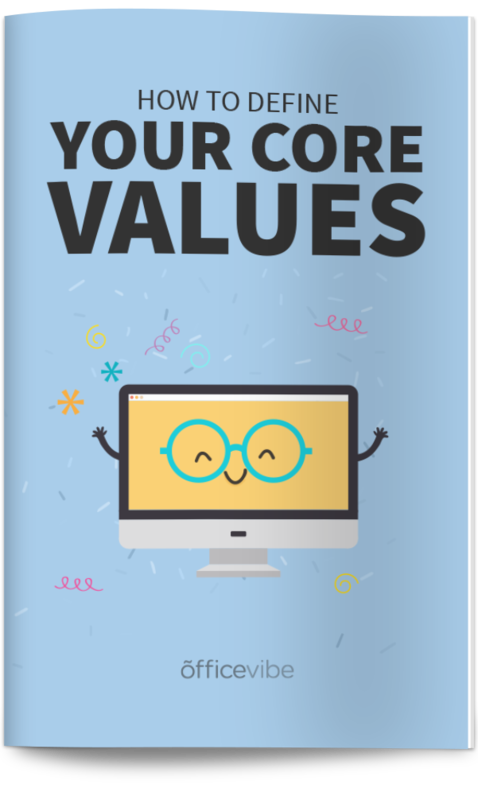 Free Bonus: Download the complete guide to defining your company’s core values. A corporation’s initiatives to assess and take responsibility for the company’s effects on environmental and social well-being. CSR may also be referred to as “corporate citizenship” and can involve incurring short-term costs that do not provide an immediate financial benefit to the company, but instead promote positive social and environmental change. The benefits of social corporate responsibility function on both an internal and external level. Being socially responsible is a great way to build your brand, and create a positive name for yourself. Things like goodwill, trust, and an overall positive image are possible through being socially responsible. If you’re smart about it, and you support the right type of business, there can also be many co-branding and marketing opportunities. A 2003 Stanford University study found that MBA graduates would sacrifice an average of $13,700 of their annual salary to work for a socially responsible company. People want to feel like they’re making a difference in the world, and this is a great way to attract and retain top talent. When employees feel proud of where they work they feel a sense of loyalty to the company, making them ambassadors. One way to measure your employee loyalty within the company is with the Employee Net Promoter Score. Being socially responsible is without a doubt one way to get your employees on the high end of the scale. Millennials are especially connected to the idea of working for socially responsible companies. The Cone Millennial Cause Study found that 80 percent of 13- to 25-year-olds surveyed want to work for companies that care about their effect on and contributions to society. A survey conducted by Nielsen group, found that 50% of consumers, surveyed worldwide, would be willing to pay more for goods and services from socially responsible companies. The one caveat, and this is important for companies to remember, is that in countries where there was already some skepticism, the willingness to spend more was lower. What this means, is that companies and the programs you’re implementing need to be really authentic. In their 2016 book, Good Is The New Cool, Afdhel Aziz and Bobby Jones highlight the importance of “authenticity, inclusiveness, kindness” in everything from company culture to marketing campaigns. They want to contribute to something that makes a difference and has a positive impact on the world. When you include your employees in larger processes and vision planning, such as designing and implementing a socially responsible program for your company, they’ll feel part of something bigger, more important than their day to day, and therefore they will be more engaged. Generally speaking, employees are most engaged when they feel part of the holistic whole, rather than solely bound to their respective role and tasks. When you choose a unique position as a company, and do things differently from competitors it helps your business stand out. This applies to all facts of business, including to social responsibility. Your relationship with society is as important as your relationship with customers. Having a strong vision and connection to a cause that makes a positive impact gives you a competitive advantage. There are lot of companies that are socially responsible, and one of my favourite examples of this is an organization called 1% for the planet. What they do is connect businesses with non-profits, and have a huge directory of companies that donate 1% of their profits to charity. Here are some well-known examples of companies that are very socially responsible. Their #5by20 program empowers young women entrepreneurs. The plan is to bring 5 million women from the developing world into the company as bottlers or distributors. There is research that shows that this can have a multiplier effect, and create value for more than just those 5 million women. Visa has partnered with several governments in the developing world to help offer financial solutions to those in need. Financial literacy is so important to advancing the lives of those in the developing world, and Visa is doing an amazing job to help. Google is well known for their giving program, and has been recognized as the most socially responsible company in the “workplace” category from the Reputation Institute. Not many people know about the kind of socially responsible investments that they make as a company. Microsoft has corporate responsibility really deeply rooted in its culture, and organizes hundreds of social events every year, and has surpassed over $1 Billion in employee donations over 30 years. For every pair of shoes Toms sells, they give a pair to a child in need.They’re currently given over 60 million pairs of shoes to children in need. Patagonia’s mission statement is: “Build the best product, cause no unnecessary harm, use business to inspire and implement solutions to the environmental crisis. They have awarded over $70 million in cash and donations to domestic and international grassroots environmental groups. However, their social awareness extends beyond the environment. You can read more about their very impressive impact here. Part of the way they do this is by creating a culture that is supportive of employees’ personal mission and causes. This past December, GSOFT offered to match all donations that employees’ had raised for their personal cause, 24hr Tremblant, a ski event that raised money for children in need. Another example of GSOFT’s socially responsible mindset is their affiliation with Le Club Des Petits Déjeuners, wherein employees take a morning to go and serve food to underprivileged children to ensure they have a nutritious day fit for learning. As another example, GSOFT participates in the Dream Day at La Ronde, where employees take children from the St. Justine hospital for a fun day on the rides. It has been a poignant experience and one that’s in line with the company mission and culture. If the nature of your company causes harm to a specific area, it might be meaningful to choose a cause that helps improve that area. For example, if you print a magazine, perhaps a part of your proceeds can go to planting trees. Choose something that is meaningful to your team. Supporting something that you don’t connect with takes the fun, passion and success out of the initiative. Avoid one-time events or annual donations that support a cause. That wouldn’t necessarily qualify as socially responsible. Being socially responsible is an ongoing process that starts from within and extends outward. If you are going to do it, do it right. Every decision that’s made should address your mission so that it becomes part of the company culture, and not just an outside initiative. It should be part of your company’s journey, not a standalone project. It is not only up to management to drive the initiatives that make your company socially responsible. Get the whole team involved and participating in the cause. You can set up an internal fundraising committee that allows employees to work hands on with organizations, giving them a sense of ownership. The beauty of being a socially responsible organization is that you don’t necessarily need to spend money in order to be socially responsible. There are a lot of other cool ways that you can give back, such as with “volunteer time off”, or VTO. The idea here is to give employees a paid day off once a year to provide volunteer services. Ideally, the organization that the employee is volunteering for is their choice. Is Your Company Socially Responsible? Tell us about your great initiatives!